This is the frank and incendiary interview by Benjamin Millepied which is widely cited in French reports as showing the reasons for his resignation on Thursday as Paris Opera Ballet's artistic director, after only 16 months in the post. He was answering questions posed by Le Figaro's dance critic Ariane Bavelier last month, and Millepied repeated his harsh criticism of the opera house's structure and approaches to dancing in a subsequent TV documentary, Relève, on Canal Plus. He accuses the Paris ballet of being ossified in hallowed quasi-military traditions that encourage passionless, depersonalized coaching, and still more woundingly - it appears from this week's press and social media coverage of the resignation - he used the word "wallpaper" to describe the corps de ballet in La Bayadère. Millepied, 38, though French, was not a Paris dancer but a New York one, the son of a modern dancer, and reaction against him has homed in on his preference for the American choreographers and contemporary creators over Paris's long classically based choreographic bloodline. A mismatch of blood group, evidently, and perhaps also too great a different of cultural viewpoint too; after all, the structural conformism and hierarchy inborn in the French and Russian classical court ballet is culturally far away from the republican developments at Balanchine's New York company where the ethos is more prima inter pares. Incidentally, English ballet-lovers may note Millepied's scorn for the Royal Ballet's offering this season of Frankenstein as a contribution to the evolution of 21st-century classical ballet. Despite the dramas of the past two days, it seems that he will not vanish from his office until July, when Aurélie Dupont takes over as director, but it's expected that Millepied will stay around as one of Paris Opera Ballet's modern creative face for quite a while longer, more akin to the position that Wayne McGregor occupies in London's cultural landscape. Here's my translation of Bavelier's scoop interview with him. Under it I've also roughly translated Bavelier's commentary in today's Le Figaro, in which she outlines an old-v-new aesthetic conflict in Paris not dissimilar to that which has so wounded the Bolshoi Ballet recently. Apparently Millepied, a keen social media user, wanted to bring some of the working practices of Twitter into the Paris Opera Ballet - not as mad as it at first may sound. 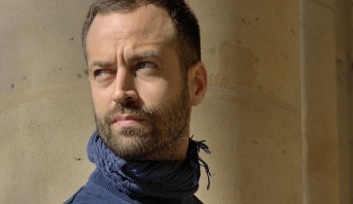 Last December Benjamin Millepied gave an interview to Le Figaro in which he set out how he wanted to reform the Paris Opera Ballet so as to become the epitome of great ballet companies in the 21st century. He repeated his intentions in the documentary, Relève, broadcast on Canal Plus. Did his words put spark to powder? Silently, without going so far as striking, the dancers made clear their anger. Millepied would not have either the patience or the hoped-for support to carry his reforms through. LE FIGARO: Why are you inviting foreign stars to dance La Bayadère, rather than casting home dancers? BENJAMIN MILLEPIED: I do prepare our own dancers for this kind of role but I'll only give them the stage when they are ready: the Paris Opera Ballet should not be on the wrong side of a certain standard. The guest dancers ought to inspire the company. No one in the world today dances La Bayadère like Kimin Kim [Mariinsky]. It’s the role of his life. His partner, Kristina Shapran, is a very great artist with the extravagance of ports de bras and emotionalism which still exists over in Russia. As for Isaac Hernandez, his visit creates a good kind of competition. In addition I’ve fixed up some exchanges with ABT in New York and the Mariinsky in St Petersburg. It’s very important for the Paris dancers to show themselves on those stages. While it’s great to dance in the summer in Japan during the Paris Opera vacation, that isn’t enough to establish an international career. After a year at the head of the Opéra's ballet, where are you at? This house has been in a bubble of its own. Look at the Shades in La Bayadère! You see for yourself these dancers who embody Solor’s reverie conjured from wisps of opium smoke? The transmission of classical dancing has been made from hand to hand since Nureyev, who died 22 years ago, and today it is urgent to question how the Shades should be danced, and to question the masters who know, while they’re still alive. Yes, the corps de ballet dancers do have to present a certain homogeneity, with awareness of each other in the space, but above all they’ve got to be dancing! At this moment, in the Garnier in the contemporary programme of Wheeldon/ McGregor/ Bausch, they’re fantastic, it’s total liberation. But in the classics, you don’t see that. So I’m going to programme a lot of that from next year: I would like a new Les Sylphides, a new Giselle, staged to be close to those artists who still have its true sense. What remedies do you suggest to improve the situation? All around the world, the ballet isn’t exactly brilliant. Pretty much everywhere it’s the thing to do La Bayadère or Swan Lake. The commercial pressure is considerable, and they fall back on big titles that will fill halls. The Royal Ballet is adding Frankenstein to them this season! Under Stéphane Lissner at the Opéra we’re trying to rediscover the configuration of ballet’s finest times: a reunion of opera and dance, and choreographers who really know music and arts. That’s how it was in the time of Noverre, Petipa, or Balanchine. Since then, ballet has marginalized itself. From out of ballet school children need to learn that a dancer is a musician who makes music with his or her body. And that the French style, defined by elegance and a harmoniousness that contrains virtuosity, comes out of our literature, our music, our painting, in the same way that exuberance comes from the Russians. The school’s pupils shouldn’t be solely educated to be dancers. They must be able to evolve the art of ballet itself - that is to say, to direct, to coach. The study of the arts and music must be at the heart of the training of the ballet school, but also the students need to have a kind of entrepreneurial sense, know how to raise money or run a career, with, for example, the use of social media, as Daniil Simkin has shown so well. The dance schools of the world cannot be content just to produce good dancers who have no opinion about anything! William Forsythe is in Paris for the Choreography Academy that you’ve created. Will it be part of the same project? If you don’t get more talents to advance classical technique, how will it be nurtured? Again, let's look at the past: classical choreographers were house artists able to choreograph as well for an opera as a ballet. The isolation of dance in the opera houses means that they are no longer learning the craft side of choreography, and the overall standard is very average. Some people do have this ability to evolve classical dance for today: Christopher Wheeldon, Justin Peck, Alexei Ratmansky, for example. But the future of the Paris Opera Ballet is not going to come thanks to guest choreographers. It must raise in-house trainee choreographers who live inside the company and develop themes for today that are as intellectually sophisticated as those addressed by the opera. Over there, when they want an event, they put on [Schoenberg's] Moïse et Aaron. Why should the ballet equivalent be Frankenstein? That’s not going to develop a new generation of choreographers capable of coming up with a production that collaboration with creative artists of real note. From next year, the five in the Choreography Academy will be commissioned to do a ballet for the company. Myself, I’m preparing one with Philippe Parreno. So you want to put dance back into the heart of the arts, and you are doing that with the Third Stage, where you’re bringing in filmmakers, writers, visual artists, to make some short films that will go out on the Opéra website. Will you also be trying to place dance centrestage again in society? I would like to create a network of halls where for 5 euros per month kids who want to explore their movement skills - in the Paris suburbs, for instance - could take dance classes. And to open the Opera stage to them for their own show at the end of the year. In Los Angeles they have a foundation that’s been doing that with 4,000 children. You can’t justify spending so much public and private money on a theatre like ours without having a project of this kind - art is for everyone. The reforms you talk of are considerable. What are your timescales? Right now we're working on them and I hope these project will see the light in two years. There is a real passion in the house. The difficulty is the fear of change. I learned that while implementing the ones that are now up and running, like the installing of a specific dance health system, that once they’re there, everyone approves. So I do sense a great desire in a good part of the company to see things evolve. Aurélie Dupont having finally sought her freedom, Benjamin Pech is my deputy: I appreciate his rigour and his openness of mind. And how do you feel after a year here? I am very attached to the dancers, but I have spent a year just finding my place in this company, which marches to the drum. I’m not like that. I wanted to introduce a culture of respect, a culture of simplicity. The hierarchy of the company, with its five grades, raises people in an archaic military way, and induces a way of talking to the dancers like subordinates which I simply don’t accept. These are often the people who made their whole career inside the Paris Opera and know the steps of every single role. As far as I am concerned they should talk to a corps de ballet dancer the same way they talk to an étoile. The corps de ballet competition is a bad idea. The dancers give more of themselves to it than they do to the performances they’re in. The real problem to solve is that of attendance at class: five times a week, not two or three times. If not the body will fight back and be injured. Dancing is like playing the piano. Virtuosity needs to be worked on every day. The team of professors openly back me up: Florence Clerc, Jean Guillaume Bart, Elisabeth Maurin, Laurent Novis, Gilbert Meyer. And I’m also inviting Yuri Fateyev, the wonderful coach and director of the Mariinsky; Olga, Baryshnikov’s old ballet mistress who knows like no one else the work for Swan Lake; Johnny Eliasen and some old stars of our house, Cyril Atanassoff and Attilio Labis. They are real personalities. And when I look at videos of their artistry, their precision and musicality, I see now a certain casualness. This wind of change will beat against strong resistance. Does that worry you? I have always had enemies because I won responsibility unusually young. Stéphane Lissner is allowing me to come up with projects in the heart of the Opéra where I’ll bring some important new sponsorship in for dance. What I do I do from passion, because I’m carried along by the need to bring a new breath into the Paris Opera Ballet. That’s my mission. If I don’t manage it here, I’ll do it elsewhere. The best of Twitter and the Ballets Russes at the POB? The Figaro critic describes Millepied as having a creative outlook similar to that of the Ballets Russes, citing his work with contemporary composers and artists such as Nico Muhly, Wes Anderson and Philippe Parreno, but also having a creative attitude to financing activities that comes from the States. The world was expecting good things from the combination of this bracing new man with an old trouper like Lissner, a man used to rounding sharp corners - the Boulez homage night at the Opéra was stuffed with more international critics and artistic directors than had been seen there for 30 years. Possibly Lissner became tired of the effort required to back a director who wanted the old lady of Paris to move much faster, perhaps Millepied lost heart in the face of the discontent shown by factions of dancers, by certain stars who weren’t fortunate enough to get first casts. Discontent was rising with every reform, with every casting of a new face, discontent fed by the old guard against any change. In a company of 150 dancers, no director could hope to win unanimous support, especially from a company which could go on strike and yet canonise Nureyev after he left. Petit lasted only six months. Claude Bessy still less. Millepied’s stated difficulties in reconciling directorship and choreographic focus was understandable, but under him there were no strikes and a lot of new doors were opened in just a few months. Bavelier comments that it was strange to find Dupont, 42, being appointed two days after she had given her first full interview to Le Figaro - still unpublished - after retiring from the Opéra payroll, in which she stated her excitement at having her own independent dancing career, after a lifetime when “others chose my roles, my dates, my costumes, and where I would perform”. Bavelier deduces that therefore the Millepied thunderclap was not anticipated, and Lissner had jumped instantly for Dupont, as offering swift continuity with some of Millepied's strategies. (It might be guessed that other candidates would require some time to complete contracts, time for the reforming momentum to slow down. The 12-year association of Millepied with POB had, said the Opéra’s general director, been entirely productive - last night his latest ballet, La nuit s’achève, premiered, apparently to a 10-minute audience ovation. Other Millepied creations for Paris remain scheduled. Dupont’s appointment is said to be a warning to the dinosaurs that the direction of travel would continue to be towards reform. “Benjamin stayed too short, while others have stayed too long,” was Lissner’s gnomic conclusion.